Elzbieta grew up in Iwonicz, a resort town in southwestern Poland noted for its mineral water. Her father, Edmund, was a respected physician and Helena, her mother, had studied pharmacology. 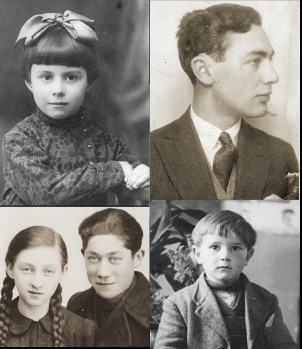 At home, they spoke Polish and were among the few Jewish families who lived in Iwonicz. 1933–39: When German troops invaded Poland on September 1, 1939, Elzbieta’s father was drafted into the Polish army. Seventeen days later, the Soviet army drove in from the east and Edmund was captured. He was transported to a camp for Polish prisoners of war in Novosibirsk (Siberia), where he served as a physician. In November 1939, Elzbieta and her mother went to Tarnow, where her maternal grandmother lived. There they were subjected to a growing number of Nazi anti-Jewish measures, such as forced labor. Helena worked as an assistant pharmacist for the Germans. A Jewish mother, Helena Lusthaus, holds her three-year-old daughter Elzbieta shortly before they were forced into the Tarnow ghetto. —US Holocaust Memorial Museum, courtesy of John & Elizabeth Strassburger. Portrait of Elizabeth Strassburger in a stroller. —US Holocaust Memorial Museum, courtesy of John & Elizabeth Strassburger. Portrait of Elizabeth Lusthaus standing between her great aunt on the left and her mother Helena Lusthaus on the right. The aunt perished in the Holocaust. —US Holocaust Memorial Museum, courtesy of John & Elizabeth Strassburger. Studio portrait of Helena (Amkraut) Lusthaus with her daughter, Elzbieta, in the Tarnow ghetto. —US Holocaust Memorial Museum, courtesy of John & Elizabeth Strassburger. A five-piece miniature silver tea set given to Elzbieta Lusthaus by her grandmother prior to moving into the Tarnow ghetto. 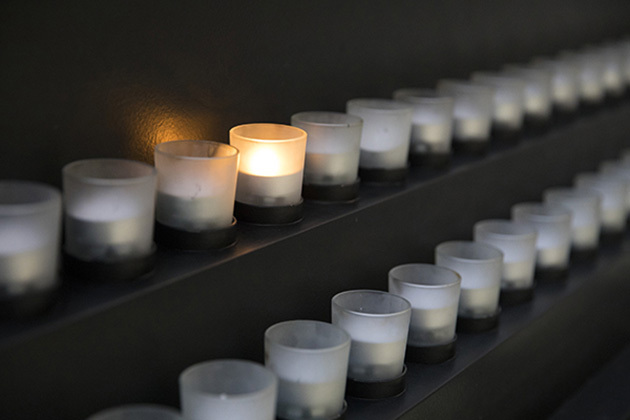 —US Holocaust Memorial Museum, courtesy of John & Elizabeth Strassburger. 1940–45: In June 1942, some 3,500 Jews, including Elzbieta’s grandmother, were deported to the Belzec killing center. Realizing the danger, Helena purchased “Aryan” papers for Elzbieta and herself and escaped to Milanowek, a town near Warsaw. There they lived with a Polish family. Four-year-old Elzbieta was given the name Barbara Stachura and raised as a Catholic. After the destruction of the Warsaw ghetto, German authorities intensified their efforts to find Jews in hiding. Helena worried that they would be discovered and sometimes kept her daughter from school or hid her in the basement. In January 1945, Soviet troops occupied Milanowek. In May, Elzbieta’s mother bribed a Russian soldier to smuggle them in shipping crates across the border to Czechoslovakia. From there, the two went to Austria and then Germany, where they learned that Edmund had survived and was in Italy with the Polish army. In 1951 Elzbieta and her family came to the United States.